The news last week that David Adjaye’s 2008 Wakefield Market Hall faces the wrecking ball made me start looking for a third example of what begins to seem like a trend: premature demolition. Definition: When a purpose-built structure designed by a well-known architect is destroyed at or before it reaches adolescence. The market hall: eight years. The Folk Art Museum: thirteen years. On Twitter, Philip Nobel reminded me of a third example: Bart Voorsanger’s Morgan Library addition, also demolished at thirteen. 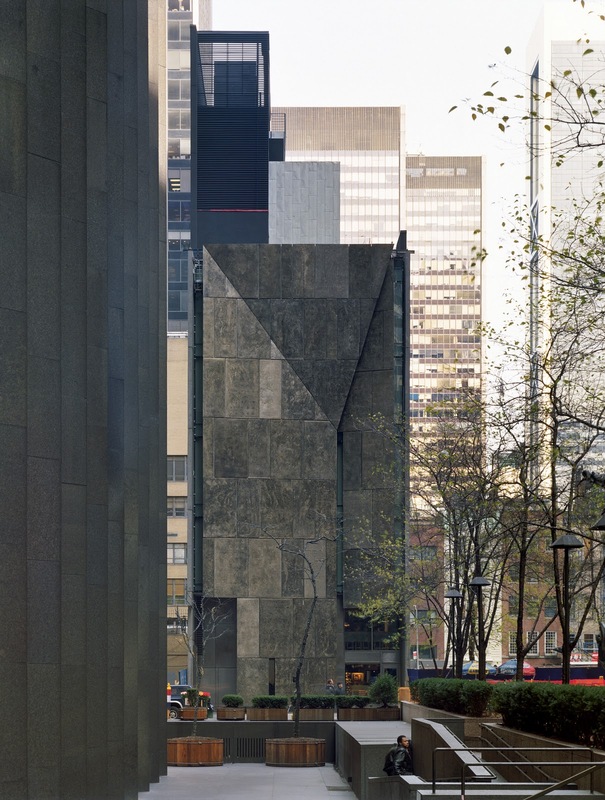 In each case, the owners of the structure have made the argument that it no longer serves its purpose: too unpopular, in the case of the market; too small, in the case of the Morgan; too "obdurate", according to Elizabeth Diller, in the case of the Folk Art Museum. One can’t help but hear, in all of these reasons for replacement, an echo of the reasons these buildings were built in the first place. 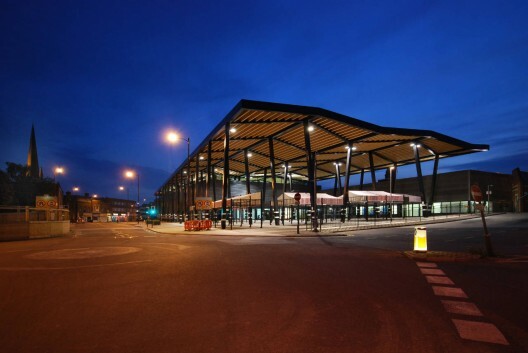 The market hall was supposed to replace a dilapidated structure and bring new life to the Yorkshire town. So, then, will the cinema slated to replace it. Voorsanger’s garden court was to add public space and improve internal circulation within the library’s collection of buildings; Renzo Piano was hired to do the same, albeit with more money and more square footage. Is it the building that failed, or the writers of the program? And who is to say that the replacement won’t itself need to be replaced in a decade? 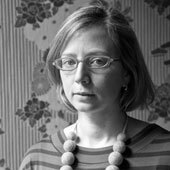 In a column at Dezeen, Mimi Zeiger argues that we will have to learn to live with this obsolescence, that the idea of permanence associated with the profession is sentimental. Mixed media and audience projections march on. That’s essentially the argument of the Museum of Modern Art, whose massive renovation and addition, which opened in 2004, has been found not massive enough. Will changes made by Diller Scofidio + Renfro, with or without the impediment of Tod Williams and Billie Tsien’s building, really “fix” the problem? Does MoMA, or any of these owners, really understand what their problem is? It feels like architecture is taking the fall for bad financial planning, bad programming, even bad experience design. I mean, come on, MoMA could make a raft of improvements to its lobby organization without touching the architecture. Bring in the line experts from Trader Joe’s, and possibly a feng shui expert. Given the time, money, materials, energies associated with architecture, it is too big to fail so rapidly. Institutions with the means to demolish and rebuild need to think twice, to think about other kinds of (ephemeral, digital, product-based) design solutions. As Karen Stein pointed out in the January 28 Conversation on the Future of MoMA, the idea of a continuous loop of circulation (which MoMA says it needs) is a creation in and of itself. Institutions and architects write scripts all the time. Sometimes they need a rewrite, an editor, even a critic. But when those scenarios become bronze, steel and glass, deleting them should take more time. The script was already written. Unite the two condo towers under the vocabulary of the existing brand. Why the architectural vocabulary of power today seems to be a lightweight, Renzo Piano-like construction (and not the material and quirky architecture of times before) is a topic that would take a full book, not this comment, but DS+R were brought in to rewrite a 'public' script, one of 'circulation.' "Obdurate," is a code for architecture itself: so to are the Empire State Building, Grand Central Terminal, the brownstones of Brooklyn, all of Paris. Those are buildings. Buildings easily get in the way of brands, or whatever is popular. What is unfortunate is that the MoMA, as opposed to the Morgan, has a greater public responsibility to the art and architecture world. Much like a sports owner has to respond to fans of the team. By only listening to billionaire donors, they seem to have recked their own brand. Perhaps it would be better to take away the MoMA name and brand from them and start over somewhere else? I was tempted to group all of these building 'failures' by the fact that they are quirky, material buildings, but that doesn't do justice to their particular contexts and situations. Each should be judged differently. "The idea of permanence associated with the profession is sentimental" is in line with the current thinking of the MoMA and much of media. It is the anti architecture or physical design movement, one that puts down designers and craft makers, and brands them as individual egotists, and raises up the digital media companies as industries of the future. Digital media makes architecture weightless and disposable. Like One57. Like this MoMA addition. Well, if you want disposable architecture, then you will get disposable architecture. The MoMA's betting on digital, just like Tina Brown did at Newsweek... oh wait. The length of time a building stands is not significant compared to the influence it has on successive buildings. The demolition could have only been premature if the Folk Art Museum hadn't the opportunity to exist in the public realm and influence people who would design and build urban buildings in the future. Sited on 43rd Street, adjacent to MOMA, in Midtown Manhattan, the building had that opportunity.